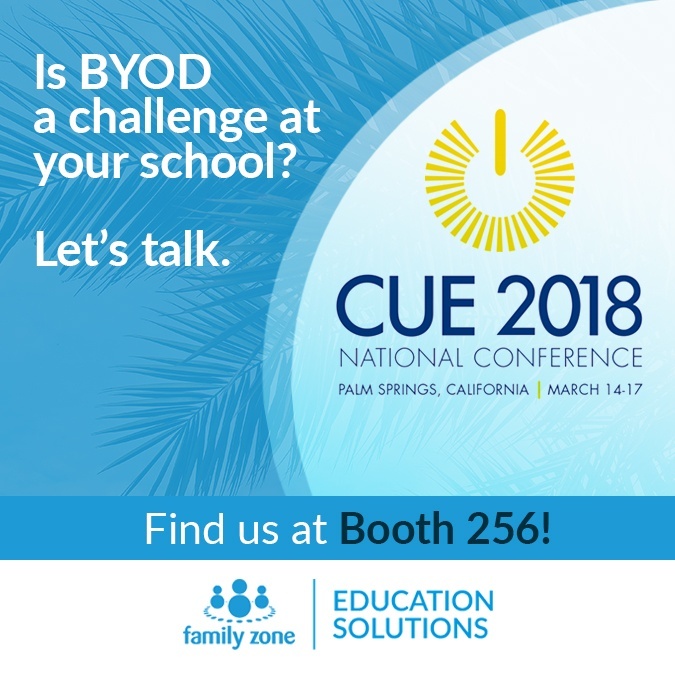 We'll be available to discuss how to make BYOD and 1:1 policies work for you, making all devices learning devices - and not a source of distraction or danger for kids - or teachers. There are literally hundreds of sessions to help you better use technology in the classroom to choose from! Information Technology vs. Instructional Technology: The Fight of the Century! In a world of 1:1 initiatives, Single Sign On, and other 21st century tools, what does a district do to ensure that technology supports student and teacher success? You SHIFT! Discover how Information Technology can be a friend to school innovation to maximize instructional time for student success. When we analyze the US education system and classrooms across our nation, we see dramatic differences and gaps in innovation. Side-by-side images of classrooms from 1918 and one from 2018, yields eerie similarities in many schools today, even with the 100-year difference. What can be done? How can schools and classrooms transform from those from the industrial era where desks are in rows, students are facing forward, and have teachers always front and center to ones that are learner-centered, personalized, and leverage the power of technology? Districts and schools across the nation are transforming into ones that are Future Ready, revamping such aspects as teacher empowerment, personalized professional learning, innovative learning spaces, community partnerships, digital learning initiatives, among others. This session will inspire school leaders and provide free tools and resources to empower them to transform their districts, schools, and classrooms into ones that better prepare students for the world they face tomorrow. Hear how four principals from three districts share successes/challenges in scaling up tech integration. Staff communications, PD, changing school culture and tech integration into Writing Workshop are addressed. Learn how principals became a cross-district community-of-learners committed to moving technology forward. Participate in panel discussion on scalability. Includes photos /video. Participate in a panel discussion including a district Superintendent, Executive Director of Cotsen, tech director, and principal on ways to identify and provide thoughtful classroom tech integration feedback. Explore a variety of walk-through tools and a continuum. Hear different perspectives related to targeted feedback. Includes photos and video clips. The importance of Digital Citizenship in the classroom is more evident than ever in this digital age. As students start to navigate the web to create their digital footprints, teachers need to know what skills they will need to teach in addition to your standard content areas. This session will describe the eight digital citizenship topics outlined by Common Sense Media and give participants an opportunity to experience a few of the lessons from the website. We so often tell kids what they CAN’T do online. It’s time we focus on what they CAN do. Student Digital Leaders can use technology and social media to learn & share learning, address social inequality, and be a more positive influence in the lives of others. Whether you are a teacher, an administrator, or a tech coach, this session will provide you with ideas you can use in your class or school tomorrow to empower students to leverage social media and move from Digital Citizenship to Digital Leadership. Creating Socially and Emotionally Healthy Kids with Digital Tools! Explore how to build resilient students within your classroom with tools such as BrainPOP, Seesaw, Twitter and MindUP. Take away ideas rooted in positive psychology for generating psychological capital within your classroom. Cultivate optimism, hope and self-efficacy within your students. Being a good cybercitizen is as easy as following the ABCs – ACT Safely, BEHAVE Respectfully, CHOOSE Responsibly. Attendees will receive a wealth of resources, including classroom videos, vocabulary, and parent support links, to bring the cybersafety message to their elementary school student. Do your students recognize the role media play in their lives? Come learn how to add media literacy mojo to your classroom regardless of subject or grade in this fun and fast-paced session. Your students need this 21st Century Survival Skill!